50 Years of the "2002"
Some of you might have missed it, but 2018 is the 50th anniversary of the 2002 (2.0 Liter) you could argue this is actually more important than the launch of the 02 (1600cc models) because it was the 2.0 liter version that caused the sensation and lead to hundreds of thousands of sales all over the world and ultimately lead to BMW’s survival. So how did the 2.0 version come to light? 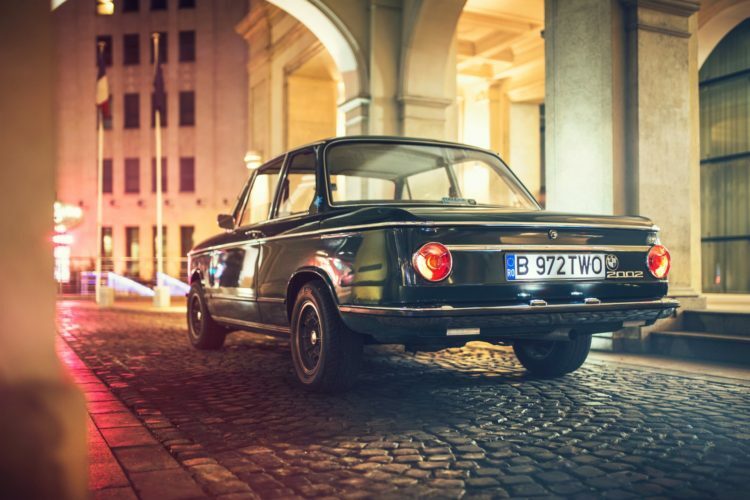 In 1967 BMW were already considering the possibility of giving their two-door vehicle yet another engine in the shape of a 2-liter relative of the 1600ti’s four cylinders. Not long after the 1600-2 was announced, Alex von Falkenhausen had a 2-liter engine dropped into an example of the car for his own use. Completely independently, BMW’s Planning Director Helmut Werner Bonsch had exactly the same conversion carried out for his car. Neither man knew of the other’s car until one day in mid-1967 when both cars were in the workshops together at BMW. Both were enthusiastic about their 2-liter two-doors, and between them decided to put a formal proposal to the BMW Board that such a model should be considered for production. Their cause was greatly helped by developments in the USA. BMW had never meant very much in that market before the mid-1960s, and the marque had been imported only in small numbers. The company was well aware of the value of sales success in such a large market, and until this point had not had a model which appealed to American customers. In 1966, all that changed. The new two-door 1600-2 models received rave reviews in the American motoring press, and all of a sudden sales started to gather momentum. Wanting to capitalise on this success, importer Max Hoffman urged the Bavarians to let him have another model in the same vein, and preferably one with even more performance. The only model in that range was the 1600ti. Unfortunately, the twin-carburettor engine could not be made to meet the new Federal exhaust emissions regulations, and so it could not be sold in the good old US of A. However, the 100hp 2-liter engine in the 2000 coupe had been made to meet the regulations. The solution was simple, BMW Sales Director Paul Hahnemann was well aware of the US market requirement, and so he supported the proposal for a 2-liter version of the two-door car, despite opposition the sales argument won the day and the 2002 was born.